U.S. President-elect Donald Trump speaks at his election night rally in Manhattan, New York. 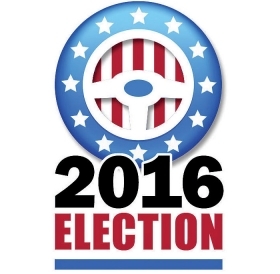 WASHINGTON -- Donald Trump's come-from-behind victory over Hillary Clinton in the U.S. presidential election signals that the state of the U.S. auto industry was clearly on the mind of the American voter. Not the industry that is reporting record profits and sales after a near-death experience, but the one that shed dozens of plants and tens of thousands of high-paying jobs in the years leading to the 2008-09 crisis, leaving just a shell of itself in once-thriving manufacturing communities across America. 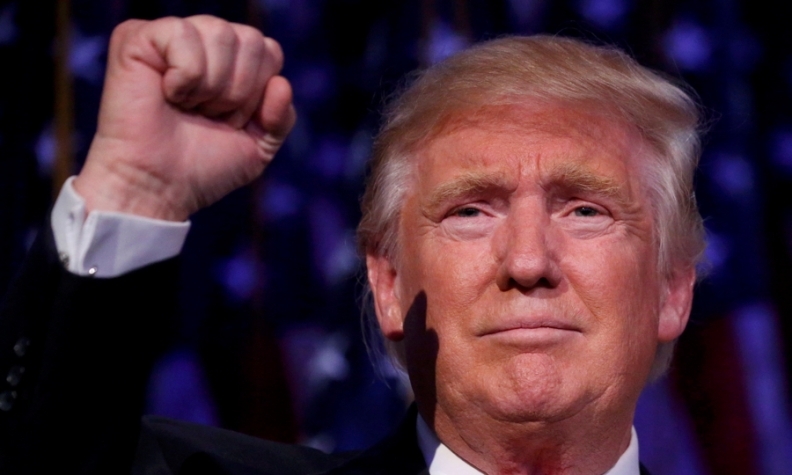 And if the president-elect follows through on his campaign pledges to renegotiate NAFTA, tax cars imported from Mexico and put a stop to new regulation, he would deliver a jolt to an industry that has been betting billions of dollars on globalized production and higher fuel efficiency. In his victory speech from Trump Tower in Manhattan, Trump said he congratulated Clinton and her family on a "very, very hard fought campaign" and praised her service to the nation, saying "we owe her a major debt of gratitude." By that time, Trump had garnered 276 electoral votes, according to the Associated Press, landing a wave of victories in key swing states such as Ohio, Florida, North Carolina, Wisconsin and Pennsylvania. Republicans retained control of both the U.S. Senate and House of Representatives. Trump also struck a conciliatory tone after a long, divisive campaign. "Now it’s time for America to bind the wounds of division. Have to get together," Trump said. "To all Republicans, and Democrats and Independents across this nation, I say it is time for us to come together as one united people." Trump's surprise election unleashed turmoil in world financial markets, similar to the crash that followed the Brexit vote in the UK. Future indexes for the S&P 500, Nasdaq and Dow Jones Industrial Average all fell by more than 2 percent by shortly after 3:00 a.m. Eastern time. Japan's benchmark Nikkei index fell more than 900 points, or more than 5 percent. A deep or protracted decline in U.S. financial markets, and a loss of wealth, could add a new risk factor for the car market as it begins to level off from years of strong growth. The success of Trump's populist appeal serves as a clear sign that the industry's soaring recovery hasn't fully healed the deep wounds sustained by Rust Belt manufacturing communities that have seen jobs lost to globalization and automation. Before a raucous crowd in Grand Rapids, Michigan, in the early hours of Election Day, Trump invoked a vision of a U.S. manufacturing sector that had been hollowed out by unfair trade policies, which he vowed to overhaul. "The trade policies of Hillary Clinton, from NAFTA to China to Korea to the Trans-Pacific Partnership, which by the way is a disaster, have raided your factories, crushed your auto industry and gutted your communities," he said. "You know it." He reiterated his campaign pledge to renegotiate NAFTA, saying he'd "terminate" the pact if "we don't get the deal we want" and negotiate a "much better deal for our workers and our companies." He also reiterated his campaign pledge to impose a 35 percent tax on products made in Mexico and shipped back to the U.S. by companies that move jobs to the country. It's unclear what legal mechanisms Trump would use to impose such a tax. Trump's vision stood in stark contrast to the image painted by President Obama at a Monday rally in Ann Arbor, Michigan. "Plants that were closing when I took office are working double-shift now," Obama told a cheering crowd. "The auto industry has record sales … Manufacturing jobs have grown at the fastest rate since the '90s -- when another Clinton was President. I think we've earned some credibility here." But whatever credibility the Obama administration earned didn't translate to Clinton, who struggled to gain traction in traditional auto industry bastions like Indiana and Ohio and was scrambling to lock up votes in Michigan -- a state Obama won comfortably, twice -- as Election Day approached. She has been forced to answer for the free-trade agreements her husband signed as president a generation earlier, which critics say contributed to the flow of auto and other manufacturing jobs to Mexico and Asia. While Trump successfully capitalized on that dissatisfaction, reversing the tide won't be easy. Despite the expansion of foreign-owned auto plants across the American South, the U.S. is still a huge net importer of vehicles. The U.S. auto trade deficit was about $125.78 billion last year, a jump from $109.23 billion in 2014, according to figures from the U.S. International Trade Administration, an arm of the Commerce Department. And automakers, drawn by NAFTA and other free-trade agreements, have been investing heavily in recent years to add capacity in Mexico as a base to export vehicles to the U.S. and other global markets. Trump has provided few details of his policy priorities for restoring U.S. manufacturing jobs. But he has called for an immediate moratorium on new regulations, and a review of existing ones that threaten jobs. That could put one of the signature efforts of the Obama administration -- the automotive fuel-economy and emissions-reduction program to combat global warming -- under scrutiny. Automakers have voiced concerns about the timing, costs and economic impact of the rules, but have generally supported the broader goals of the program. Automakers and suppliers have poured billions of dollars into r&d and dramatically increased vehicle fuel efficiency since the rules were put into effect in 2011. But getting incremental improvements from here on out could get costlier, and the consumer shift toward light trucks has complicated efforts to hit the fleetwide targets. The rules are already under a required midterm evaluation to determine whether they should remain intact or be adjusted. And the outcome of that review will be swayed by Trump's pick for EPA administrator. After assessing the industry and market's ability to meet the 2025 goals, the agency's chief will make a final decision about whether changes are needed by April 2018. 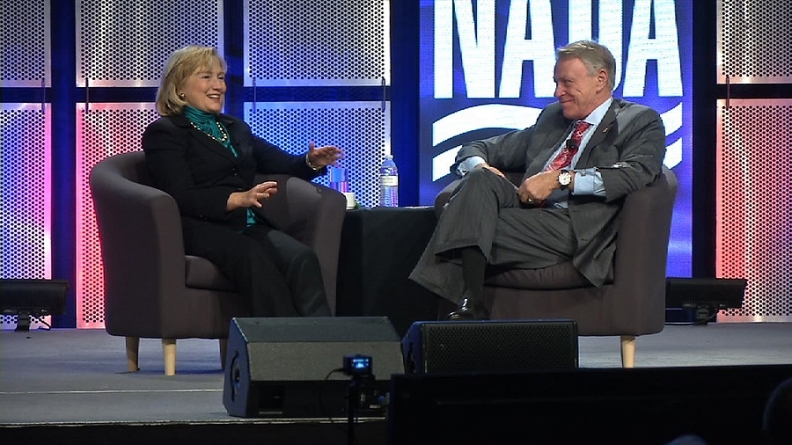 Hillary Clinton, appearing on stage in January 2014 with then-NADA Chairman David Westcott, defended the auto bailout. A pronounced change in direction would force a reordering of priorities for an industry that is just now comfortable enough to focus on its future. GM, Ford and Fiat Chrysler are raking in profits and investing billions in new vehicle technologies and business ventures, with an eye toward capitalizing on changing ideas about vehicle ownership and personal mobility. U.S. auto sales are on pace for another near-record year following six straight years of growth following the recession. After setting an all-time record in 2015, U.S. auto sales have slipped 0.3 percent through October. The steady recovery in sales has allowed automakers and suppliers to rebuild their payrolls from deep cuts made in 2008-09, when consumers fled showrooms, plants were shuttered and GM and Chrysler went through bankruptcy reorganizations. Automaker and supplier employment averaged about 926,400 employees through the first 10 months of 2016 on a seasonally adjusted basis, the highest level since 2007, according to the U.S. Bureau of Labor Statistics. Employment at new- and used-vehicle dealers has also grown steadily from a recession-era low of around 1.01 million in 2010 to nearly 1.3 million on average this year. Many of those jobs support exports. U.S. auto exports totaled about 2 million vehicles last year, down slightly from an all-time high of 2.1 million in 2014, which represented a 27 percent jump compared with 2008.